KOA camper Jay Conner of Billings, MT, was road weary as he and his wife made their way across Northern California’s U.S. 395. They thought they had a ways to go to find their next campground. Then, they saw that familiar yellow KOA sign. What they found instead was one of KOA’s new additions behind a brand new KOA Yellow sign. The campground was formerly known as the Meadowcliff Campground. With 34 sites, it’s far from being the largest KOA, but it’s a beautiful jewel in California’s Eastern Sierras Mountains. 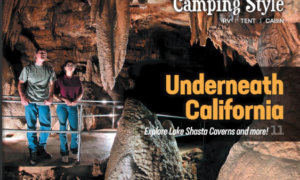 The campground is so new to the KOA System that it just missed publication in the 2014 KOA Directory. But you can read all about it – and make your reservations – on KOA.com or via our KOA app (available for download free at the Apple Store or Google Play). “We were impressed with the overall cleanliness of the park, and the modern facilities,” Conner said in his letter. All sites include cable TV and free WiFi, and there is an on-site restaurant. There are even private, family-style bathrooms and ATV trail access. Kudos to owners Tim and Mary Fesko for creating this wonderful camping getaway. The Coleville/Walker KOA is just one of the 14 new locations Kampgrounds of America has added to its North American system so far in 2014. Check out below for a glimpse of our other great new spots to enjoy KOA camping at its finest. And you can check out “What’s Behind The Yellow Sign,” by clicking here. You can see what other campers are saying about KOA camping, check out our new TV spot and even enter to win a new Keystone RV! And stay tuned . 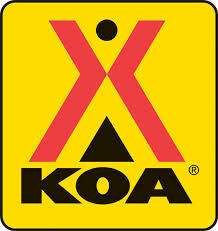 . . there are many more great new KOA locations to come! Pocatello, Idaho KOA: This quiet campground is back in the KOA system under new management. It’s surrounded by the mountains, and just 30 minutes away from world-famous Lava Hot Springs. Pocatello is the home of Idaho State University, and there is a Museum of Natural History on campus. 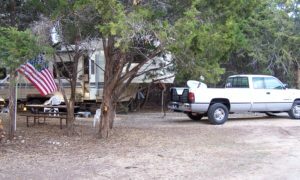 At the KOA, you’ll find extra-long pull through sites and super clean Cabins. Your hosts are Maurice and Lorraine Dicaire. Alamogordo/White Sands, NM KOA: Just off US-54/70, you’ll find this respite in the desert, with open, shady sites. Just down the road is the New Mexico Museum of Space History, detailing the state’s role in the U.S. Space Program. If hiking is your thing, there are plenty of trails at the nearby White Sands National Monument, where the roads lead through the flour-white gypsum sands. Your hosts are Kelly and Sandra Rodwick. Decatur/Wheeler Lake, AL KOA: This campground sits on Wheeler Reservoir, operated by the Tennessee Valley Authority. Water activities are the main thing at this KOA, with water skiing, canoeing, sailing, fishing and swimming at the top of the list that also includes photography, hiking, and birdwatching. It’s a jewel in North Central Alabama. Your host is Wynn Taylor. 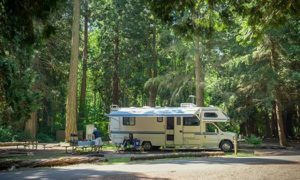 Benbow, CA KOA: Visitors to the Lost Coast of Northern California will find this wonderful campground along the East Branch of the South Fork Eel River. There are new Deluxe Cabins where you can sit and admire the mountain views and majestic redwoods. The campground has a nine-hole golf course, putting green and driving cage. You can hike among the giant trees at the nearby Humboldt Redwoods State Park, Rockefeller Forest and Founders Grove. Your host is John Porter. Uniontown, PA KOA: This KOA, formerly the River’s Edge Campground, is an ideal spot to relax and unwind. It’s situated between the Youghiogheny River and the Great Allegheny Passage Bike Trail, so every campsite comes with a view of the trail or the river. 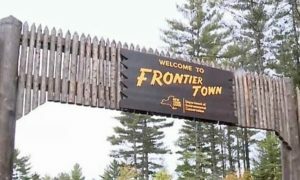 You can fish for trout or rent a canoe, or set off on a bike ride of any length along the 150-mile trail. This KOA has themed weekends each summer, with live bands, bonfires and dance parties around the new pool. Your hosts are Denise Gallo and Deene Yenchochic. Starkville, MS KOA: This new KOA, right on the shores of Oktibbeha County Lake, is just minutes from Mississippi State University. You can swim at the beach, enjoy the waterslides, or cast a fishing line. And its just a few miles to the Sam D. Hamilton Noxubee National Wildlife Refuge and the famed Natchez Trace Parkway. Your hosts are Rick and Meo Stansbury and Hobie Hobart. Nashville North, TN KOA: This KOA is handy to all Music City attractions, just 13 miles north of the Downtown Nashville Loop. There’s even a “Little Country Opry,” with music and dinner every Thursday night all summer long. There are 100 sites here, on 8.5 acres. It’s a great base camp for your Music City vacation. Your hosts are Jim and Mary Zaborowski. Hancock/Stevens Point South, WI KOA Journey: The newly built KOA in Central Wisconsin has a pond, along with a large heated swimming pool. It’s surrounded by vegetable and tree farms, and is near biking trails. It’s just off I-39, yet is in a beautiful wooded setting. Your hosts are Ivan Gaetan and Patricia Newcomb. Naples, ME KOA: This Western Maine KOA is a full service campground in the heart of the Sebago Lakes Region. There’s a huge heated pool, and a kitchen open for breakfast, lunch and dinner. Rent a canoe for the lake, check out the game room and settle around the campfire at the end of a busy day. Your hosts are Con and Pam Crepeau. Sanger/Denton North, TX KOA: This is the newest KOA in the Great State of Texas, nestled just off I-35. It can accommodate any size RV, with 90-foot pull throughs and great WiFi. There’s a pavilion for outdoor cookouts, and an Austin stone fireplace to keep away the evening chill. Don’t miss the fishing and the pool. Your host is Bill Retherford. Shreveport/Bossier City, LA KOA: This award-winning campground is now back in the KOA system. You can sleep under the tall pines right at the gateway to the Old South. Enjoy a variety of Louisiana foods at the many nearby restaurants, or try your luck at the casinos down the road. This KOA has two Kamp K9 dog parks, as well as new Deluxe Cabins. Your hosts are Byron and Maxine Bonewell. Fort McCoy/Lake Oklawaha, FL KOA: This new Florida KOA is located on a bluff overlooking the 13,000-acre Lake Oklawaha Rodman Reservoir. It’s also surrounded by the 400,000-acre Ocala National Forest. It has the best natural can offer, with 3,700 feet of privately owned lake frontage. You won’t be disappointed. Your host is Jacqueline Laundeane. Nashville East/Lebanon, TN KOA: This is the newest KOA added to our system. It’s in the beautiful countryside of Middle Tennessee, only 20 minutes from Nashville. There are both open and shaded sites, a swimming pool, tent sites and a well-stocked camp store. It’s your base camp for the Grand Ole Opry, the Hermitage and Cheekwood Botanical Gardens. Your hosts are Ron and Libby Kaly. 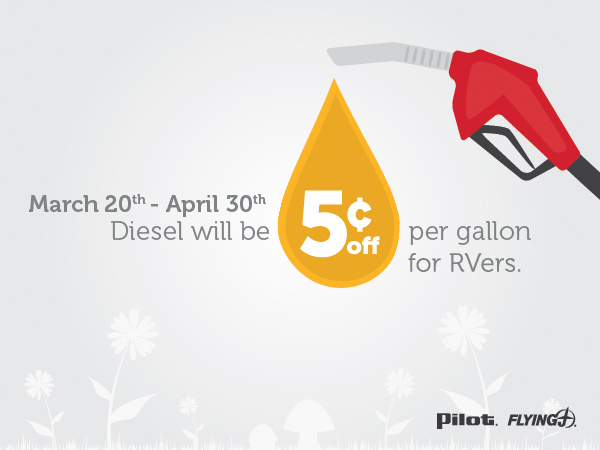 Save 5¢ per gallon of diesel with your Pilot Flying J RV loyalty card.